There are numerous marketing channels that can be used by small businesses. Direct Mail is one of them. The thing is that most businesses seem to think that direct mail no longer works and the truth is, it may not work for them if their ad is poorly designed, badly thought out or badly implemented. That does not have to be your fate. Direct Mail can work for you. In this day and age of increasing technological intrusion into daily life, we start to think that online marketing channels are the only way. The truth is, that direct mail has worked for the longest time and it still works now. If you can get a piece of mail into the right people’s hands, you can make an incredible amount of money and grow your business. Having said all that, here are Three tips for using Direct Mail in your business. Have you decided yet who your ideal client is? Who do you think will benefit the most from your product or service? 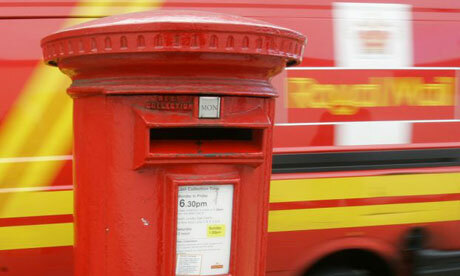 When using direct mail, you will of course want to avoid racking up unnecessary costs. Sending out mail pieces to every single person on the planet will end up costing you a lot and the return on investment will probably be pretty low. So before you decide to send out direct response pieces, ensure that the list you are using has a high ratio of customers you are interested in working with or more importantly, prospects who are interested in working with you. This, in itself, will increase your chances of success with this marketing strategy. For more information on how to choose your ideal client, watch out for the webinar coming out by the end of May on how to choose them. Before I leave this tip, let me ensure you understand that the best sales letter written to someon who does not give a hoot about your product or service WILL fail so it is incredibly important to care a whole lot about the person that is getting your marketing message. Most businesses seem to think that just because they have informed their prospects once about their sale item then the droves will come in and buy it. I am here to tell you that that is just not going to happen.Do not give up after one mailing. Your marketing must be a sequential process that allows prospects to keep you at the front of mind. Think through how you generate the leads and then plan a steady trickle of marketing pieces to your prospects little by little by little. Consider yourself an information marketer – if you cannot generate the bits of information then work with someone who can. Educate and inform your prospects and you will leave competitors on the side walk. A client I worked with had only ever received pieces of paper with a whole lot of writing on them and he thought that that was the only way to do direct mail. No, you can do something different. Send them a sample of your goods, use it as a talking point. Think out of the box and create an eye-catching sales letter or package that gets people opening and reading your mail. Remember that you will be one of the few businesses actually offering something different and so you automatically stand out in the mind of your prospect. Even if you run an online business, you can implement an offline marketing system to your overall marketing strategy. It will generate more business for you. Direct mail is one of those things that is never going to go out of fashion as long as there are postal services to deliver the items. Too many businesses have abandoned traditional marketing for online. The truth is both of them should work together. Direct Mail may even be more effective now because there are fewer companies using it and fewer pieces to compete against. Either way, your second point is right on. Yep, that is too true, Kevin. Most think online advertising alone is best because of the proliferation of social media but online is only one part of a business owner’s toolkit.